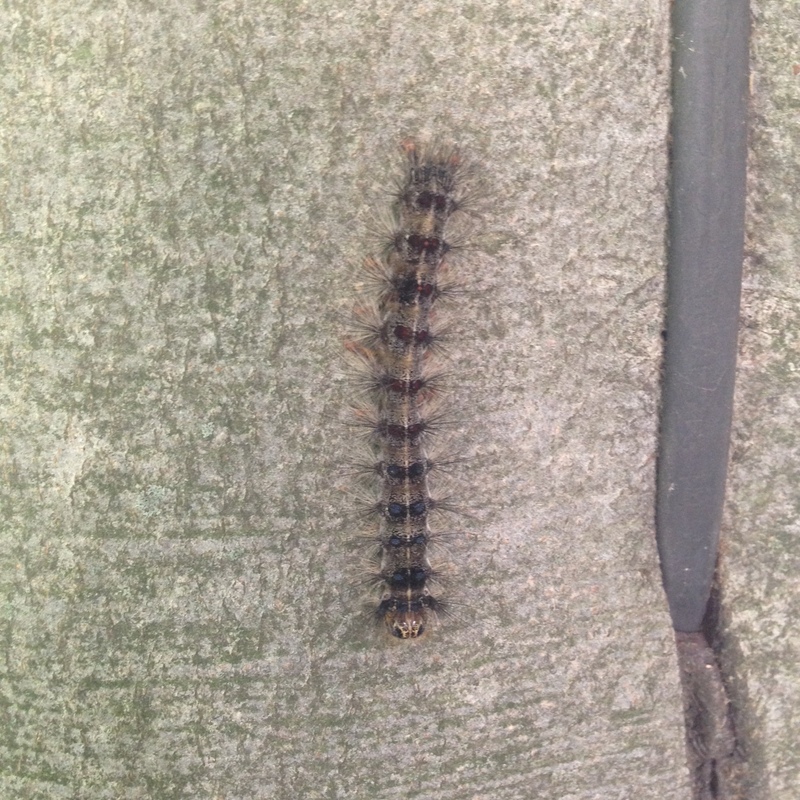 The infamous Gypsy Moth caterpillar. Introduced to North America in 1869 by a fellow who wanted to cross them with silk worms. Within a decade, they were munching their way through our hardwood forests. The young larvae travel by wind, shooting out a silky thread like spiders to ride the currents of the sky. 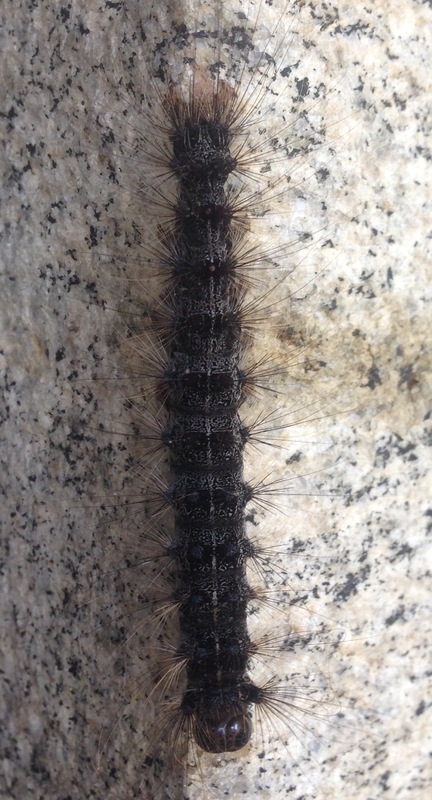 Mature Lymantria dispar caterpillars are distinguished by five sets of raised blue dots and six sets of raised red dots. The binomial translates as “destroyer unequal” referring to both their amazing skill at defoliating forests and the disparity between males, which typically have five instars (stages), and females, which typically have six. The female moths are also larger than the male moths. All these, on the museum building and a nearby beech at Storm King, were dead. This is interesting: how one climate-change-denial Republican rep is screwing his climate-chaging district, not least with his contempt for their lived experiences.